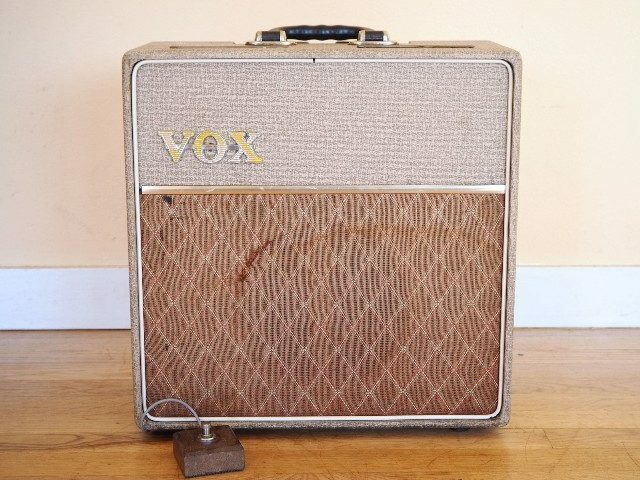 1962 VOX AC-4, 100% Original, EXC Condition, Rare Amp! 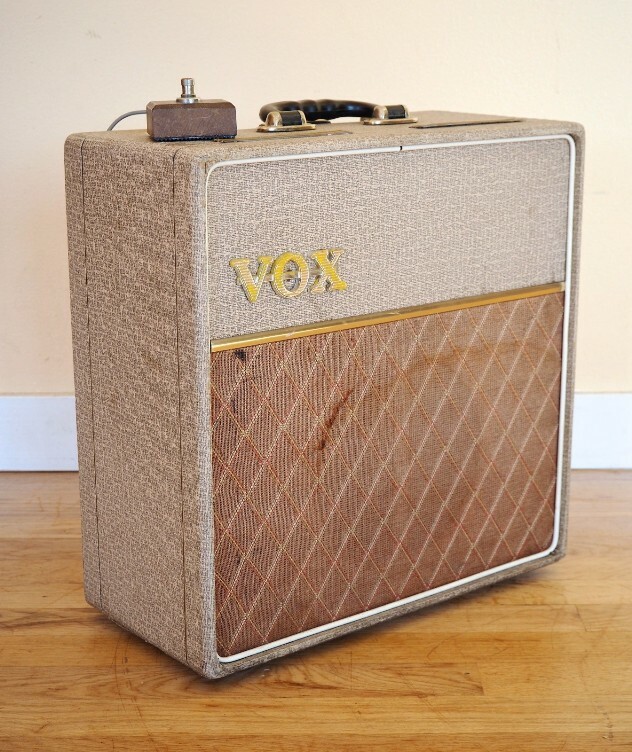 Up for sale, a 1962 Vox AC-4 in exceptional, collector-grade condition and in perfect working order. 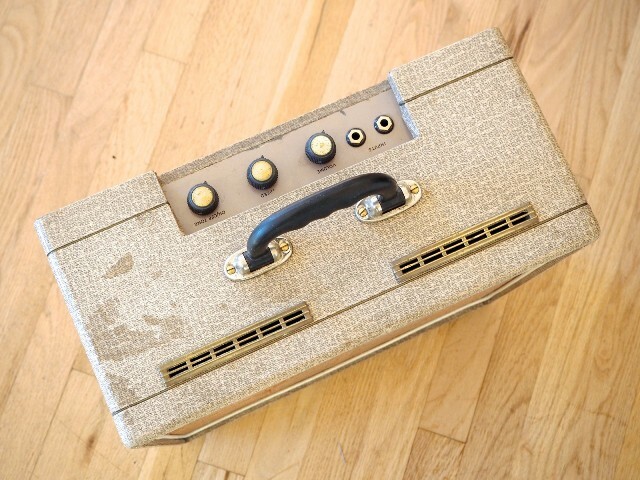 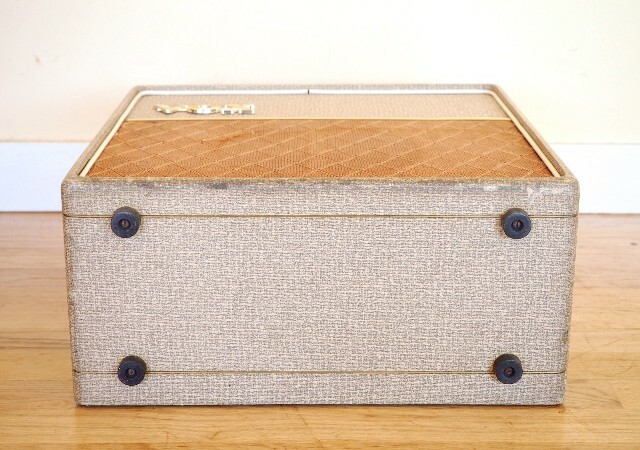 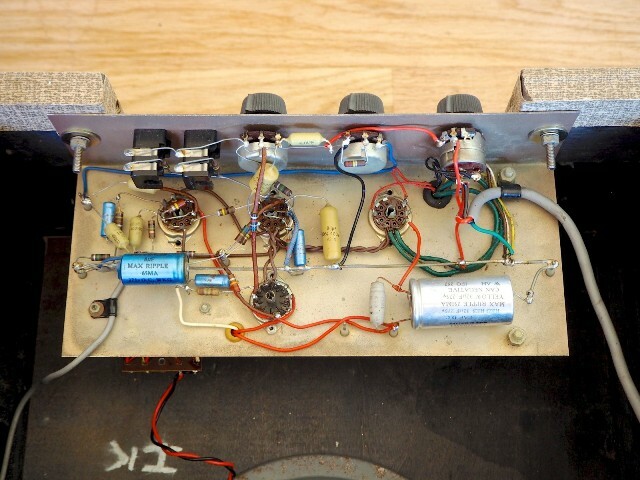 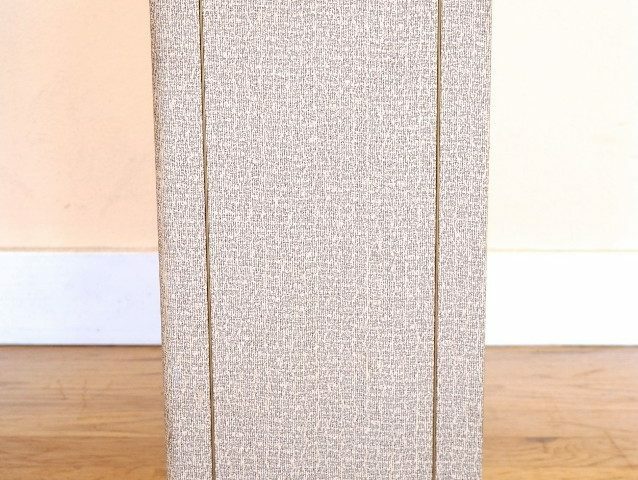 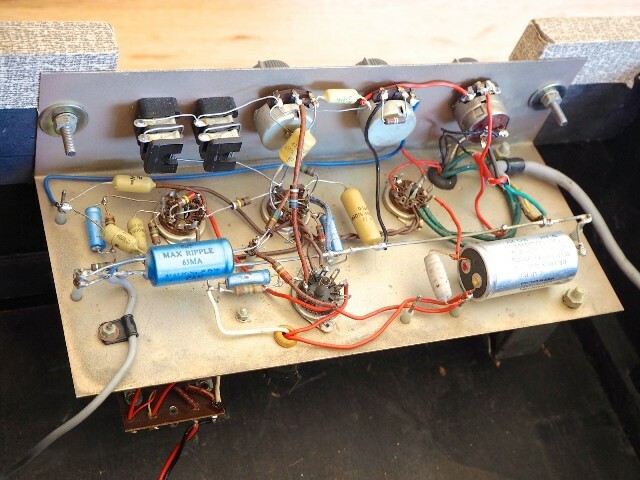 This early JMI tube amplifier is 100% original and complete, with original fawn tolex, brass vents, stock transformers, and even the stock “woodie” footswitch! 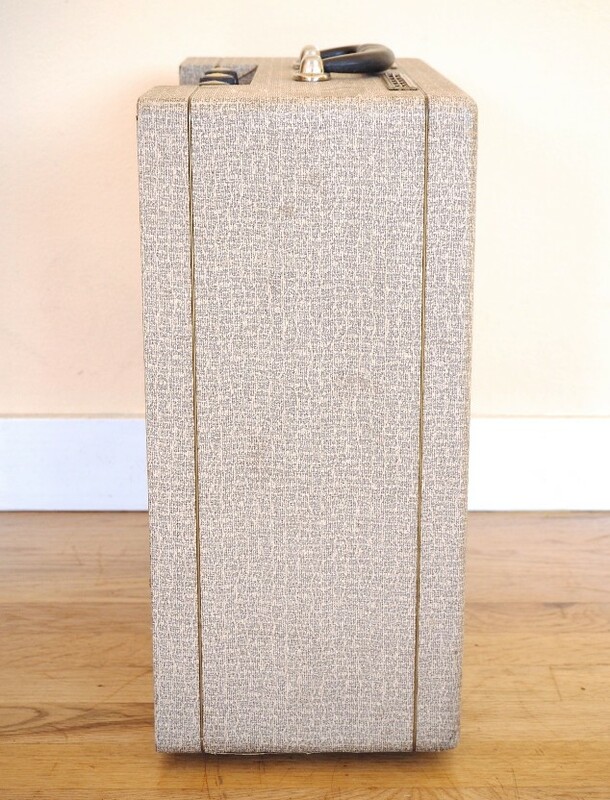 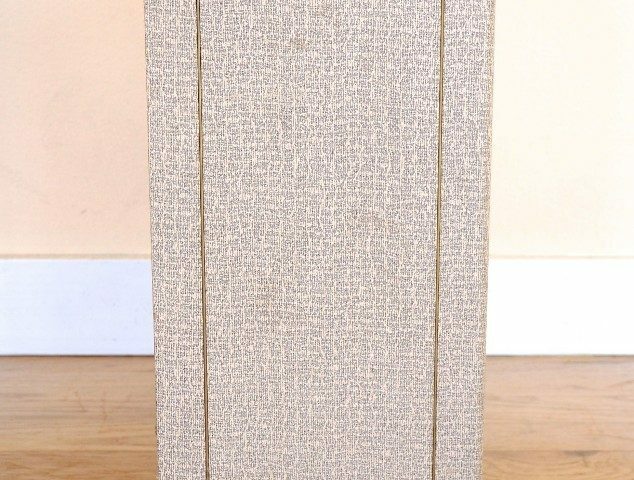 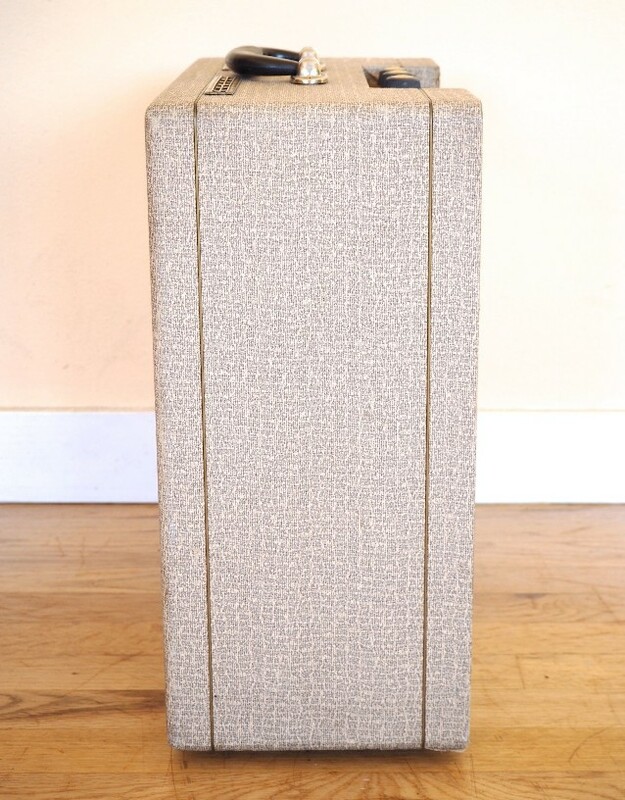 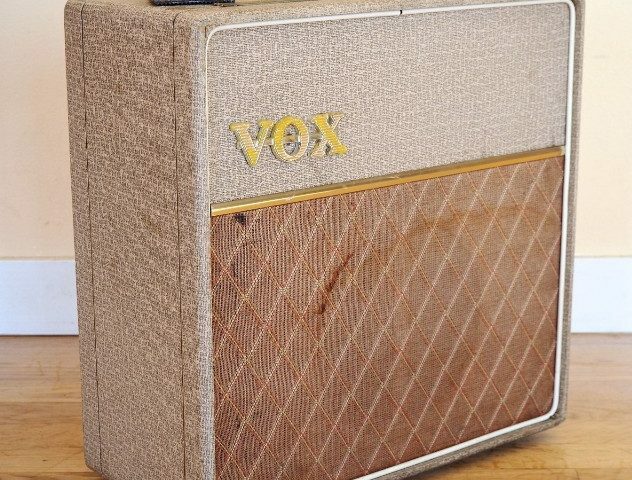 Powered by a single EL84, this amp delivers classic Class A Vox tube tone at bedroom volumes, with a tone that actually stays quite clean. 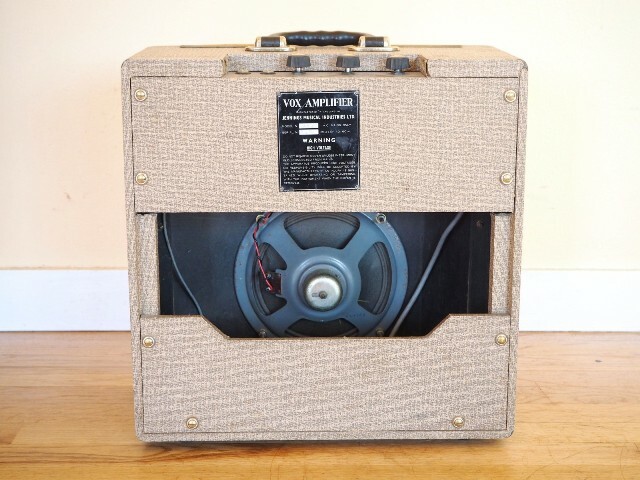 With simple Volume and Tone controls, the circuit is a pure platform for highlighting the guitar plugged into it, with a dynamic sound that can vary notably based on the pickups that are pushing the original 8″ speaker. 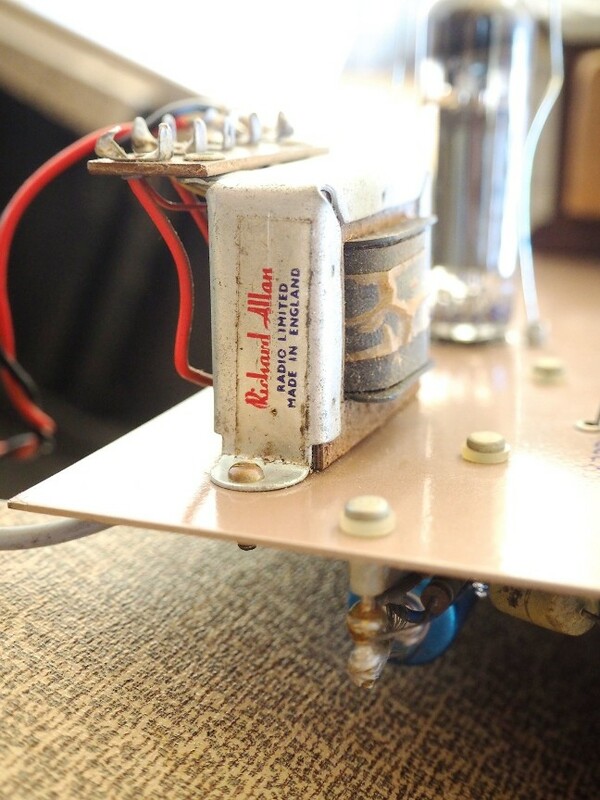 The tremolo is particularly fantastic on this amp, with a thick, warbling three-dimensional quality that belies the amp’s small stature. 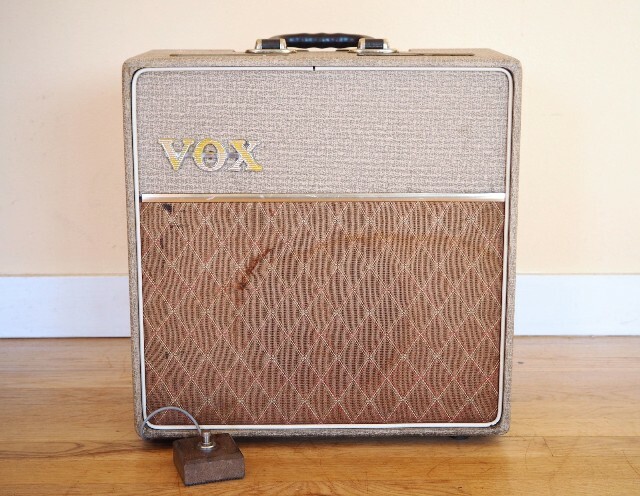 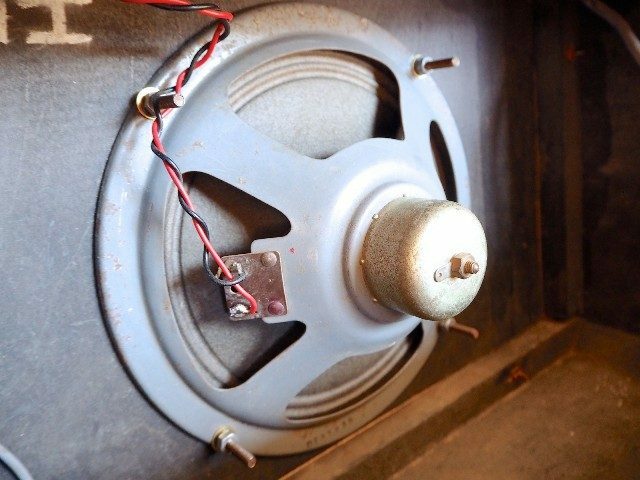 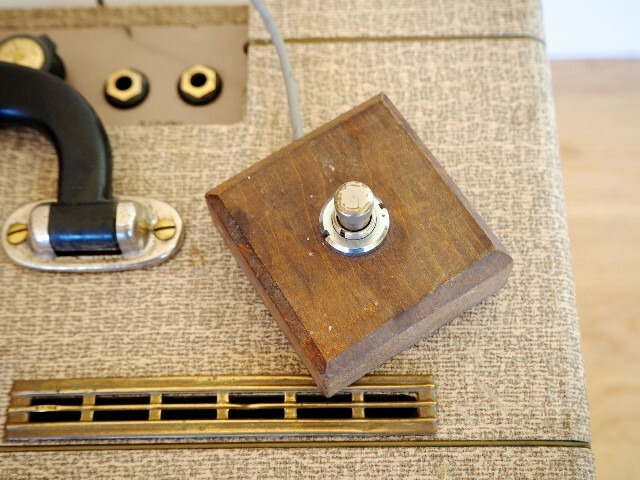 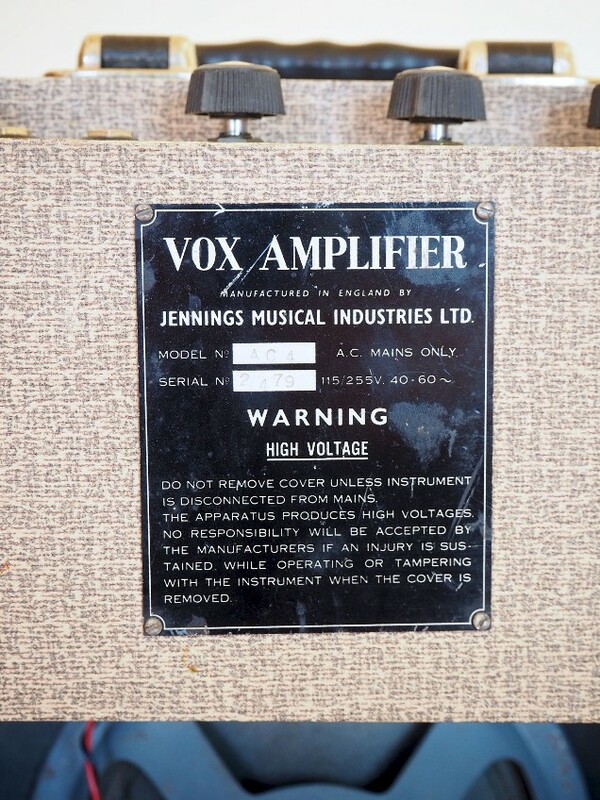 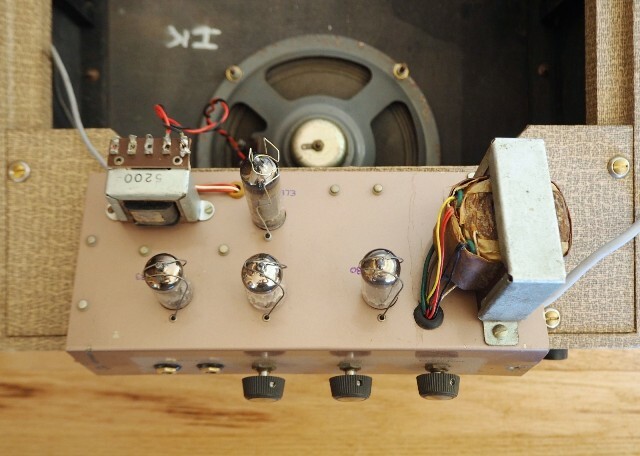 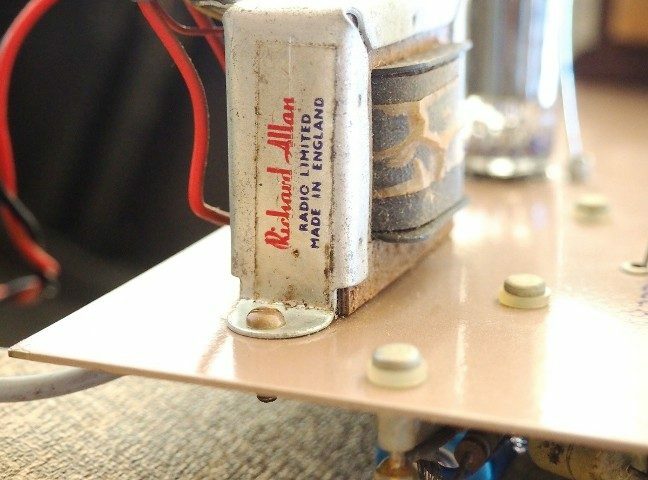 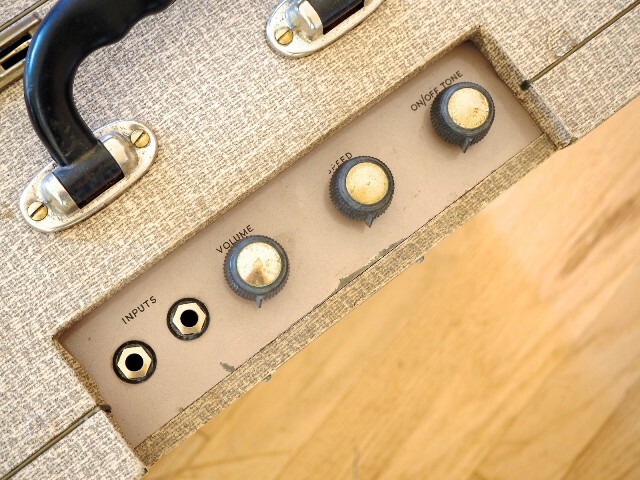 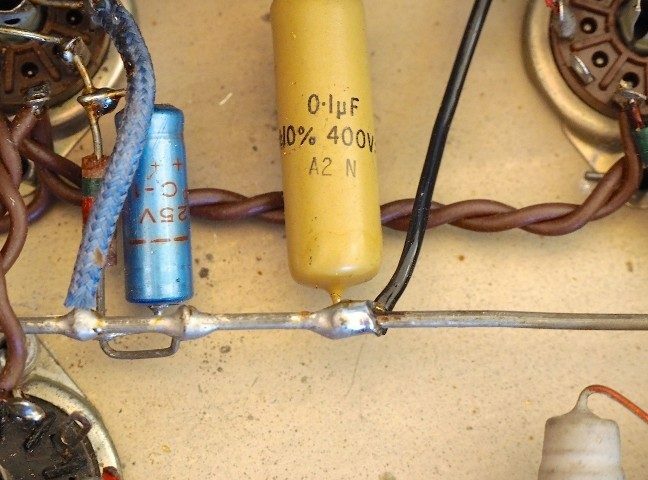 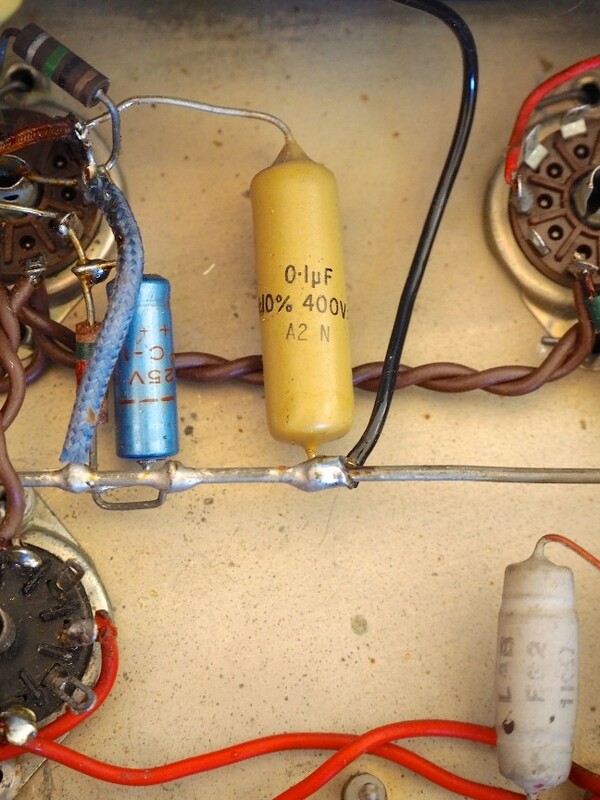 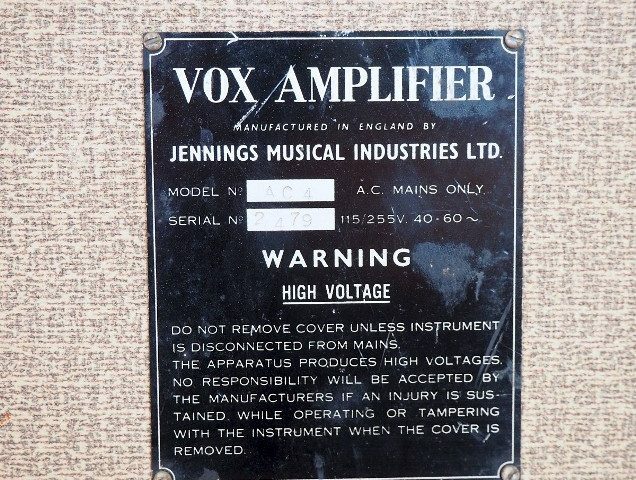 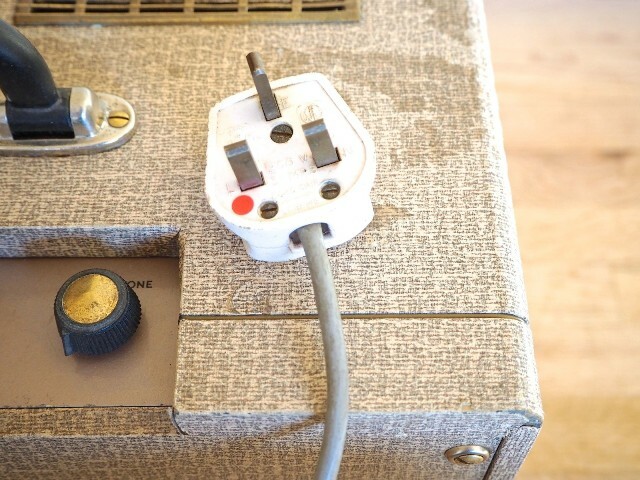 Still wired for the original 240V power, this Vox comes equipped with a step-up transformer to convert the voltage from US to UK power while maintaining the amp’s originality.